Technology is transforming higher education, so how can colleges and universities keep up with its evolution? 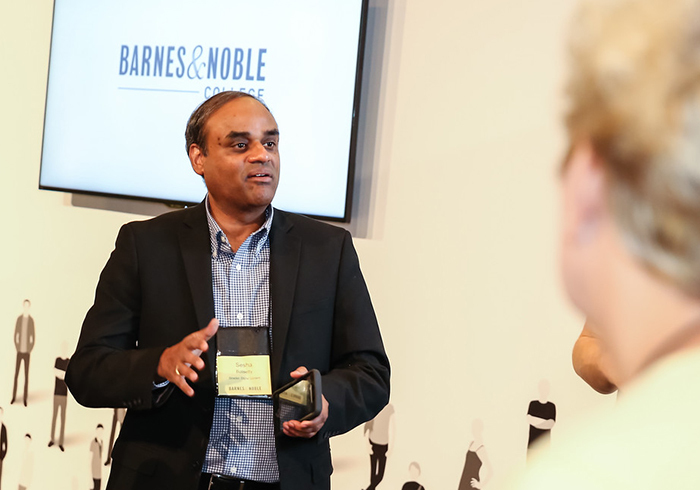 We asked Sesha Bolisetty, Vice President Content Operations for Barnes & Noble Education, a leading provider of educational products and services solutions for higher education and K-12, to share his insights on the ways in which learning and teaching are changing — and how technology can bridge the gap and empower the future. What are some of the most notable student learning trends that we are just starting to see today? How do you see those trends evolving in the future? Student learning has evolved rapidly with the increased influence and use of social media platforms and websites like Google and YouTube. They now are accustomed to content being presented to them in small chunks with mobile-optimized deliveries, and that type of content is well received in the classroom as well. This is especially true when they can study and absorb chunks of content that are aligned to specific learning outcomes. Beyond content presented in text narrative form, students also like watching short videos and taking practice quizzes on their learning objectives, both of which give them a clear indication of their progress. In terms of other trends, we’re also seeing a significant change in the devices students are using to access digital content. More students are ditching their computers — desktops and laptops — in favor of consuming content primarily on mobile devices. This trend will continue to grow exponentially, and it’s critical that content is fully optimized for mobile delivery. Non-traditional students will continue to comprise more of the student population in the coming years. 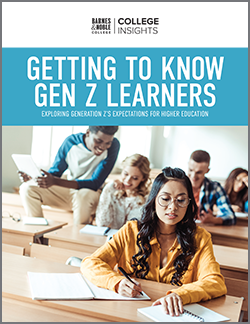 How will digital education technologies help support these students, particularly those pursuing a mix of online/on-campus courses or online-only programs? LoudCloud Courseware — which includes original content such as videos, PowerPoint lecture slides, activities, practice exercises and assessment — represents a great solution for non-traditional students. One of the largest users of LoudCloud Courseware is Eastern Gateway Community College (EGCC), which is seeing significant growth in the online student population — particularly in adult learners. Many of these students are non-traditional students that are full-time employees and are taking specific courses as part of completing their degree or certificate programs. What’s notable is that EGCC’s online student population has grown significantly as compared to the size of their on-campus student population. From our experiences serving the course material needs of students at EGCC and other schools, they want simple-to-use, highly effective functionality in their digital courses with features like single sign-on and user-friendly navigation of content. They are ‘on the go’ all the time, balancing family, work and life. Many of them have full-time jobs and are accessing the course content after-hours, at night and on the weekends. Technical issues like platform access or password controls create a major hurdle for them. With LoudCloud Learning Platform that EGCC students are using, all content items are seamlessly embedded and they have easy access to content on any of their devices without having to login to multiple systems/platforms. These students also want simple interfaces for their content that provide enhanced reading experiences. That’s why we included features such as highlighting, note-taking and flash cards into the Ebook portion of our Courseware. We also created a built-in functionality that allows students to highlight topics they need help with and send notifications to their professor. 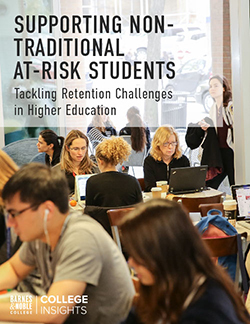 All of the capabilities that technology solutions like OER Courseware provide are still relevant in a hybrid setting, where students are taking classes online as well as attending some classes on campus. The online learning will complement discussion-focused and creative thinking activities in their courses. Which digital teaching tools and resources have faculty found most valuable to date? What are some of the new capabilities that new tools and resources will give them in the future? When you get right down to it, most of the faculty members we interact with daily are looking to achieve the right balance of affordability and high-quality course material content. OER is now a critical component of their resource selection, but much of the OER on the market is available only as e-text. Faculty still need to pull together all the other course resources and assessments needed to teach a full course. It’s extremely time-consuming to curate all the necessary parts and pieces, as well as align them all to specific learning outcomes. LoudCloud Courseware addresses these specific needs with advanced, ready-to-use digital courseware that is aligned to learning outcomes. Faculty can use these courses as provided or can customize them to fit their classes. We made sure that the editing features within our learning platform were user friendly to help faculty adjust and get comfortable with the new system. Faculty and students alike also look for new methods of collaborative learning. We built collaborative teaching tools in the platform that allow students to create discussion threads, posting, responding to and interacting with each other. It also allows faculty to monitor and contribute to those threads, offering insights into the way students are digesting and discussing information. On a similar note, faculty also look for analytics capabilities that help them understand student performance. Analytics can play a critical role in assessing student participation in classroom activities and the effectiveness of those activities. They also can help identify students who need additional attention and support early on, while there’s still time to intervene. These insights help faculty adjust their teaching style and interactions with students, as needed, to improve performance and outcomes. Some people hold the perception that digital learning technologies translate to less interaction between people. How do you see future technologies and capabilities promoting collaboration and interaction among students, between students and professors? Even I will tell you: too much time in front of the screen is not a good thing! However, digital technologies with the right collaborative features really can enhance interaction and learning among students. What we’ve observed through our research is that students want to learn the same way that they live. What does that mean? They want to be able to message each other and faculty. They want to be able to read and post in discussion threads. They want to flag content they don’t understand directly in their courseware. What do you see as the single biggest change ahead for colleges and universities — and how will digital education technology help them navigate this change? My focus is primarily on digital course materials, and from that perspective, affordability and inclusive access are, and will continue to be, two of the most significant changes affecting campuses nationwide. Digital technologies are at the center of both. Through the combined strength of our LoudCloud Courseware, advanced learning platform and deep-rooted relationships that Barnes & Noble College has on our campuses, we are well positioned to help our campus partners navigate these changes — and support student success. Hundreds of faculty members have taken advantage of our courseware for use in their classes, saving their students significant amounts of money on course materials, while providing an advanced digital courseware experience in our fully optimized learning platform.